Many people haven’t heard about CBD, what it is, does, or where it comes from. However, mention the word marijuana, and a large proportion will instantly dismiss any perceived medical benefits, instead assuming it’s a drug that gets you’high’. Nothing could be further from the truth. Marijuana and cannabis contain many different compounds called cannabinoids, and while the most commonly known, THC, provides the user with a euphoric sensation, CBD produces no psychoactive effects, instead, it has shown its usefulness as a medicinal compound. Throughout the ages, people have used hemp and marijuana in a variety of ways to reduce pain, anxiety and stress. As far back as 2,000 years ago, the ancient Chinese understand its medical value, prescribing it for a variety of ailments and conditions. Until the mid 1930’s most American households had a small bottle of CBD oil under a variety of names, and used it liberally for numerous illnesses, and also as a daily tonic. 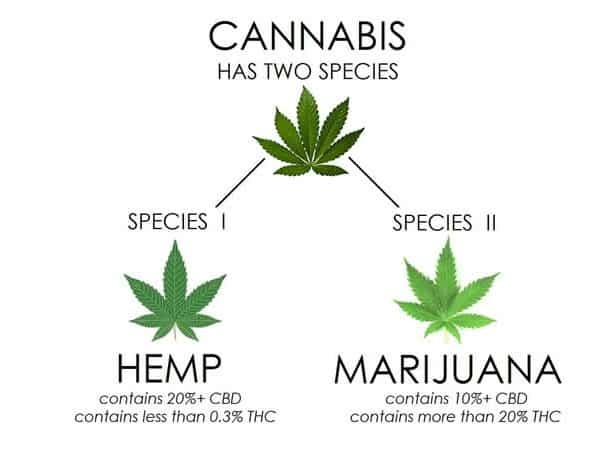 The ban on marijuana which was later implemented, did not differentiate between THC and CBD, prohibiting them both as marijuana or marijuana based products. 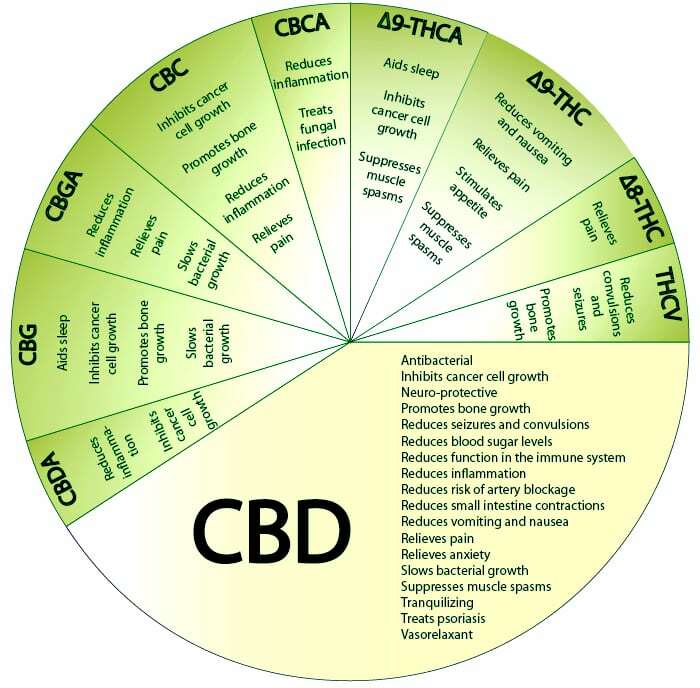 Over recent years, medical research has found that CBD, when isolated from other cannabinoids such as the psychoactive THC, can have a positive impact on a persons’ health and well-being, actively reducing pain, nausea and many of the side-effects suffered by numerous patients on long-term treatment programs. Although more studies are needed, preliminary reports show that CBD helps to re-balance the bodies defenses and immune system, helping it naturally, and without the need for additional prescription drugs. High quality CBD oil isn’t made from marijuana or cannabis, it’s extracted from industrial hemp plants, containing little, if any THC at all. This allows users the complete medicinal benefits of CBD, without the worry of preconceived drug use, or an altered state of consciousness (‘high’). The extracted CBD is then added to an edible, harmless oil ready for consumption, which can be taken orally, as pure drops or in a drink. Topically, rubbed into affected areas of the body. Or with high quality CBD oils, vaporized and inhaled. Recent years have a seen a number of American states legalize the use of medical marijuana for a variety of illnesses and conditions, as well as a relaxation in the laws in the general use of marijuana for recreational purposes. As these restrictions are reduced, more and more studies can be undertaken to fully understand the medical benefits of CBD oil, helping to regulate quality and the quantity needed per patient. Until then, most of the current medical trials and studies are currently performed in Europe, predominately the Netherlands and the United Kingdom. Many marijuana smokers already know about the positive medical benefits CBD can bring; it is known to actively clean the lungs, removing phlegm and mucus build-up, reduce pain, inflammation and swelling as well as reducing anxiety and insomnia. However, naturally grown medical marijuana may contain elevated CBD levels, but it also invariably contains a small percentage of THC. This will alter a person’s consciousness and can be dangerous and unwanted in many people’s average daily lives. Unfortunately there have been few long-term studies or published reports at present to confirm many of the short-term findings, but the results look promising. CBD oil has been found to assist in a wide number of conditions and may be helpful for a number of patients. CBD oil cannot be smoked, only vaporized, taken orally or absorbed through the skin depending upon a patients needs and preferred method of application. Read more about some of the many uses of CBD oil below. Relief for Arthritis Sufferers – With its anti-inflammatory properties CBD oil has proven to reduce the pain suffered from arthritis. Recent studies have shown CBD oil significantly reduces chronic inflammation, the cause of arthritic pain, reducing it to manageable levels. Reducing Anxiety – Studies have shown that CBD oil can reduce chronic anxiety and the symptoms of some associated disorders, including Post Traumatic Stress Disorder and Obsessive Compulsive Disorder, allowing the patient to feel more relaxed and at ease in their daily lives. Epilepsy and Mental Health – with its’ anti-seizure properties, CBD oil has proven to reduce epileptic seizures in many patients and is currently undergoing extensive testing to ascertain its full potential. Reports also show its effectiveness at treating other mental health issues, including schizophrenia. Reducing Addiction – Early indications show CBD oil may help in fighting addiction. Studies have reported a reduction in nicotine intake for those patients vaping or inhaling CBD oil, as well as a decrease in many of the side effects associated with drug dependency withdrawal. Treating Cancer – Trials of CBD oil to assist in fighting cancer are currently being undertaken in many parts of the world. Indications show CBD may actively suppress the spread of cancer cells around the body, reducing their growth and ultimately killing them. Skin Conditions – An imbalance of chemicals within the body can often manifest itself as a variety of skin complaints and conditions from acne to hives. CBD oil actively reduces inflammation and when rubbed into the skin, can assist in reducing many of these complaints. Alzheimer’s Disease – Although limited studies have been performed, early findings show CBD oil may reduce the onset of social recognition deficit in Alzheimer’s sufferers. More research is required, but CBD may help to slow down and reduce many of its symptoms. Type 1 Diabetes – As an anti-inflammatory, CBD oil has been shown to help reduce inflammation of the pancreas, the cause of type 1 diabetes, as the immune system attacks pancreatic cells. Further long-term research is needed, but this could be the first steps in finding a cure. Evidence is mounting, proving CBD oil has a wide number of medicinal benefits and medical applications. Scientific studies, television programs and documentaries, social media accounts, all are beginning to show the positive uses of CBD oil for a wide number of medical uses. Although not a magic cure, many people will testify to its use in reducing severe arthritic and joint pain, greatly improving the quality of life and reducing the need for daily prescription pain killers. Arthritis affects over 50 million people in the Unites States alone, causing pain and and suffering daily for some. For many people a few drops of high quality CBD oil taken orally and a drop rubbed into the affected area can provide hours of pain reduction and relief. We offer the highest quality CBD oil made from industrial hemp and containing little, if any THC. 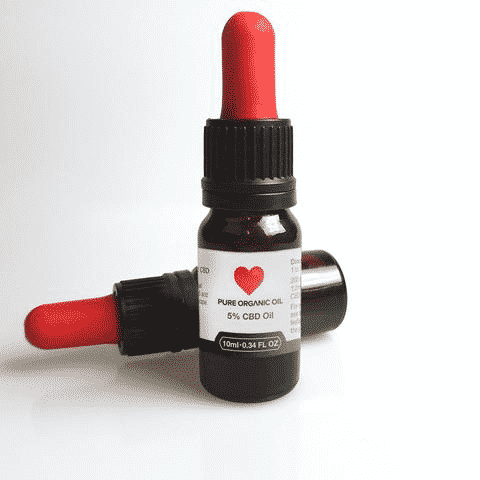 Highly effective, this 5% CBD oil is sold in 100 ml bottles fitted with a handy dripper for precise self medication, with each bottle containing approximately 200 drops. Guaranteed delivery is included in the price, using the best stealth shipping and packaging methods. All orders are shipped directly from I Love Growing Marijuana, an online leader in marijuana seeds, products and CBD oil. You can buy the highest quality CBD oil online and have it delivered within days when you purchase it through us. Enjoy the best quality available with secure payment options and free shipping. Don’t be fooled by some of the cheaper, lower quality products available, they often lead to disappointment. Our recommended CBD oil has worked wonders for many people across the USA, Canada and Europe, including close friends of my own!